One thousand Soviets died on average every hour from June 1941 until May 1945. Modern studies of the Second World War have tended to focus on the western theatres of conflict and the role of the American and British armies. It is easy to forget that the Soviet Union bore the heaviest losses and, arguably, most desperate fighting in the conflict. This collection, edited by Professor David Stone and incorporating contributions from a number of internationally renowned scholars, presents a synthesis of modern research on the operation and efficiency of the Soviet war effort. It has profited from the release of new archives since the fall of the Soviet Union. The value of this collection lies in its broad approach. Subjects as diverse as the role of non-Russian nationalities and partisans to the Soviet war economy, and the dissemination of propaganda are analysed in detail. It is interesting to note how the pre-war Soviet system laid the foundations for wartime industrial production by ruthlessly suppressing individual initiative in favour of an autonomous unified system. Nevertheless, the role of specific individuals was often crucial. There is an intriguing story of Aleksei Kosygin, a deputy prime minister, who ran around the deserted Kremlin in October 1941 in order to answer as many telephones as possible to prove that Moscow had not been deserted by the political elite. Despite the autocratic nature of Stalin’s Russia, the shaping of public opinion was crucial in maintaining the people’s willingness to fight. In the post-war years, Stalin was portrayed as a military genius who had bravely led his State to victory. This picture was very different from the reality under the onslaught of Operation Barbarossa. Soviet propaganda was used to present Stalin as commander-in-chief in times of victory. He was carefully shielded from any association with defeat, which facilitated his post-war conversion into the architect of Germany’s downfall. A rather neglected feature of many accounts of the Second World War is the role of Soviet women in actual combat. The Soviet Union had far higher levels of female participation in military activities than all the other states engaged in the conflict. It is possible that up to a million Soviet women were engaged in military or paramilitary activities during the war. Female workers were also a significant factor in industrial output. It is rather sad to read that many women, particularly those who actively fought the enemy, were shunned or discriminated against in post-war society. 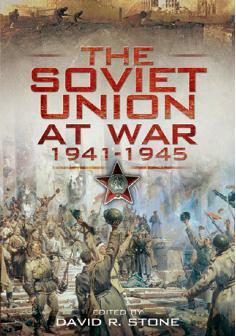 This book is highly recommended for readers with an interest in the Soviet Union or the Second World War in general. It is the definitive statement on the state of current research in this field.